The most efficient tool to manage your social media plan. Publish, schedule, share, manage, distribute and measure your content across multiple social networks. 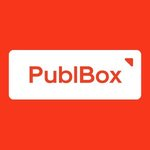 PublBox is a subscription-based online service with a set of tools. Shortcutz provides a single link to access all social media channels, it can access within Instagram profile to grant fans easy access to all your other channels. SocialDog is a social media management software where businesses and individuals are able to manage their Twitter account smart and efficiently, and ultimately grow their social media audience automagically. SocialXpand helps businesses engage customers through Social Media Marketing & Management, Reputation Management, and Social with Deals, Contests, & Shopping. Vocus Social Media Software is a reputation management software that integrates social media monitoring with comprehensive traditional coverage so you get a complete picture of the world's engagement with your brand. Allin1Social is a complete Social Media Management & Reporting Platform. It allows you to manage your Facebook, Twitter, Instagram and Google+ in one simple dashboard. With the Allin1social platform you can schedule and publish posts, monitor the performance of your pages, analyse your community, the engagement of your fans, and the performance of different channels across all main KPIs. You can get extremely detailed statistics about your performance and download everything in PDF or excel reports - even have your logo on the pages. You can compare your performance against your competitors and run benchmark analyses to discover your industry trends and best practices, as well as the worst mistakes, to optimize your social media campaigns accordingly. Allin1Social really does it all in one dashboard: publishing, scheduling, reporting and benchmarking. It's easy social media management powered by advanced analytics. Around.io is a smart social media productivity tool that helps you promote your products on social media. You can automate, schedule, or post your products to a lot of social media channels like Pinterest, Facebook, Twitter, Tumblr and more. 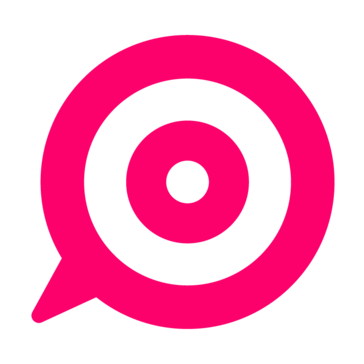 ContentApp is a platform for content curation, creation and amplification. The platform enables corporations to effortlessly build their brand via employee social channels, and enables employees to build a personal brand alongside the corporate brand. Useful to social media directors, sales teams, recruiters and anyone else in need of creating and maintaining a regular social media presence. Cortex is a social media content optimization platform for marketers and agencies to continuously improve post engagement. Digital Roots offers proprietary software and a simple objective — to help brands establish roots in a digital world. Advanced targeting, automation and ad management. Leverage Facebook custom audiences with dynamic refresh to target B2B prospects for conversion. EaseSocial Media helps you to monitor, manage, identify influencers, and amplify your social media initiatives across your social networks. Social Media Marketing allows unparalleled access to both your current customers as well as potential clients. Echobox is an intelligent social media automation for news publishers and media companies. Follow Liker is a social media marketing platform. Gain helps marketing agencies and anyone working in teams organize, review, approve, and deliver quality content on-time without excessive emailing or messy spreadsheets. With customizable user roles, permissions, and Approval Flows™, Gain helps both small teams and large distributed teams automate the entire content workflow, from content creation and revisions to approval reminders, gathering client approvals, and final publishing. Teams can collaborate on content for Facebook, Twitter, LinkedIn, Instagram, as well as PDFs, videos, images, and much more. Learn why thousands of teams in over 55 countries trust Gain to automate their content workflows. Gramista is a bot for Instagram followers and likes. Grum lets users schedule Instagram posts. Automate your Instagram activities to level up your social impact. Promote your page with real followers using our Instagram Bot. igAssistant Instagram Bot provides a series of Instagram Automation Tools that help users to promote their Instagram visibility. Incomaker is an intelligent, automated marketing tool. It's also your one stop for all of your digital marketing. Email, SMS, analytics, CRM, you name it. Incomaker is designed to save you time and money by giving you everything you need on one platform. IG Growth Wizard takes the "busy work" out of organically growing your Instagram account. The key to experiencing rapid growth for any Instagram account comes down to how much you engage (like, comment & follow) other users accounts. Instagram is highly competitive, and users who are truly attempting to grow their accounts spend an average of 8 hours a day "engaging" fellow Instagram users. If you truly want to experience growth in the competitive world of Instagram, your going to spend hours upon hours a day "engaging". It's literally a full time job to effectively grow your Instagram account.... but with our busy lives who has time to do this on a daily basis? No need to worry.... IG Growth Wizard does this for you! Once you become a client of IG Growth Wizard, you have a team of dedicated Instagram specialist whose only job is to grow your Instagram account at lightning speeds. Full Automation Smart Targeting Privacy & Safety Set & forget 3 days free trial No Download Statistics & Analytics. Instavast is a smart web-based service for Instagram Management and Promotion. We help people and businesses to grow their social impact. Jarvis is the Free, Easy-to-Use Way to Grow Your Twitter and Facebook. Join over 10,000 marketers who are choosing Jarvis, embracing "set it and forget it" social media marketing, and growing their brands the smarter way. We provide brands and influencers who are struggling to grow on Instagram with a growth tool to connect them with real followers and improve their social proof. Newsio is a Social Sharing Platform for Teams that instantly share relevant company news and content on social media. PlanGram is an Instagram Scheduling Tool that allow direct scheduling without the need to wait until the perfect time to post on phone, or use other tools which send emails or notifications when it's time to post. PostSpeaker is a social media sharing tool for getting the word out on LinkedIn, Twitter and Facebook. Users can recruit employees and other business ambassadors to share posts on social media through extended campaigns. Your ambassadors do not need to share any passwords with PostSpeaker in order to have content posted to their accounts. With PostSpeaker, ambassadors keep control of what gets posted to their social media, and can change or cancel any scheduled post before it goes out. PostSpeaker extends your social media reach, without relying on others to reblog, reshare, or retweet. Grow your business with powerful social media marketing and management modules, saving you time while getting results. SchoolMessenger Social Media Managment is an all-in-one social media management platform, you can manage all of your social media activity from one central location. It allows you to easily publish across social networks, listen to conversations, analyze performance, etc. 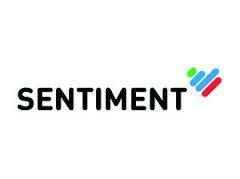 SendPilot is an automated content creation platform for your social media marketing efforts. 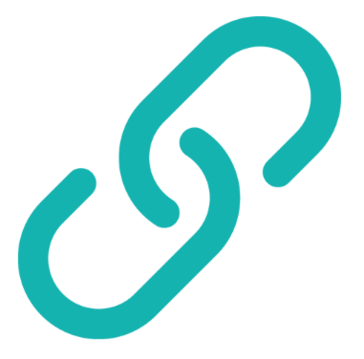 It takes your blog posts and creates SEO friendly engaging social media campaign scheduled over 3 months automatically with hashtags, backlinks, images and unique content snippets from your blog. Social Champ is the best way to automate your all social media efforts, day-to-day posting, A/B testing and optimization. Social Champ brings all the automation you need to schedule your social media content. It has the best features from all available scheduling tools in one place so you don’t have to be confusion amongst many options available. The tool has already received positive reviews, from social media influencers such as Guy Kawasaki, Peg Fitzpatrick, Dennis Yu, Ian Anderson Gray, Neal Schaffer and many more. Created for Channel and Partner marketers, socialondemand allows marketers to easily and seamlessly syndicate content to their partners with targeted content on a global scale to amplify their brand using their partners.